Just imagine it: You call an automotive locksmith provider at 3 am to request service for your car fobs. Help arrives at your location in less than 30 minutes and then, your friendly technician charges you the exact price that you were quoted in the beginning. It’s all possible thanks to Pros On Call! 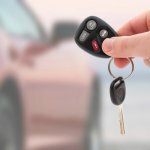 When mobile locksmith services are needed for an automobile in order to resolve a problem that involves a key fob, you can rely on our lock technicians during traditional and emergency situations. We come to you and replace car fobs quickly! When mobile locksmith services are needed for an automobile in order to resolve a problem that involves a key fob, you can rely on our lock technicians during traditional and emergency situations. Because we keep our mobile units fully stocked with special tools needed to replace or duplicate key fobs, we’re able to successfully provide services to locals in a variety of neighborhoods, communities, and business districts in a timely manner. Excellent customer service is important to us here at Pros On Call, so we always begin all projects in each of these locations by providing accurate estimates with no hidden fees later on. Then, we simplify the process every step of the way by providing strategic advice. If you’d like to work with automotive locksmiths who all have over five years of experience, our services are worth considering. A key fob is a compact piece of plastic that’s equipped with multiple electronic components. The electronic hardware underneath the housing transmits radio signals that interact with special automotive equipment. When certain buttons on a key fob are pressed, certain automotive functions happen. For example, if a key fob is wired with locking features, the buttons will operate the cylinders that lock and unlock your vehicle. Simply put, your car fob allows to you to lock and unlock your vehicle with the push of a button. Learn more about remote entry systems! Call us if your car fob has been lost or stolen. After a car fob is lost or stolen, you can rely on our service options because we have dedicated mobile crews that implement strategic procedures in order to replace all types of car keys quickly and efficiently. We handle broken car fob situations too! Our service methods are also beneficial during situations when a replacement fob is needed after a key fob is broken. 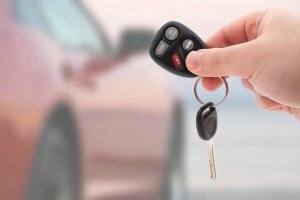 We use cost-effective repair techniques to resolve technical problems that affect typical key fob hardware, so you can successfully enhance a defective fob at a low cost by working with our key programming experts. Get duplicate car fobs make fast! If another key fob is needed during a typical or emergency situation, you’ll benefit from using our key fob duplication services. As licensed, bonded, and insured locksmiths, we always take the proper steps to construct key fobs strategically so that the electrical hardware functions efficiently with a modern or vintage automobile. In some cases, typical key fob problems can be resolved without seeking professional repair services. For example, whenever a key fob doesn’t work frequently, the batteries probably need to be replaced. Signal issues can also cause this problem; in order to resolve interference problems, simply try to use the fob while standing in a different spot. If you are still having trouble, just call us! Pros on Call is a reputable locksmith business that proudly serves motorists in a variety of neighborhoods and suburbs. Our 24-hour locksmiths are dependable and always arrive at project locations properly equipped with commercial-grade tools so that key fob tasks can be tackled without any delay. If you need help resolving a traditional or emergency key fob problem, contact Pros On Call today. Car Fobs https://prosoncall.com/locksmith/automotive/car-fobs/ 4.1/5 based upon 31 reviews.